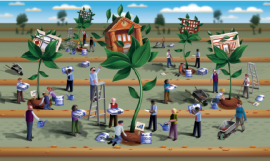 Last year the Colorado Legislature passed two bills to fund an Economic Gardening (EG) pilot in Colorado. 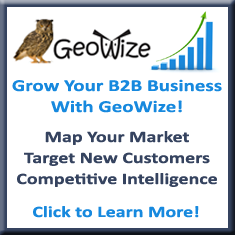 GeoWize, national experts in Economic Gardening, will be working with the Colorado Small Business Development Center (See article) to provide Geographic Information Systems (GIS) analysis services to the client companies in the pilot. The pilot will be managed by Sharon King Director of the Boulder County SBDC. GeoWize has been working with Sharon for the past four years in supporting the Longmont Economic Gardening Initiative (LEGI), managed by Doug Bene. Thematic mapping services to the program’s client companies. Where is the market for my product or service? Can my business be successful in this location? What are my clients like? How and where can I find more clients? GeoWize comes to the Colorado program fully certified by the National Center for Economic Gardening (NCEG) as an EG GIS specialist. GeoWize is a founding member of the NCEG’s national strategic research team (NSRT), with more than five years of program experience supporting more than 20 state and regional EG programs, and more than 600 small business clients. 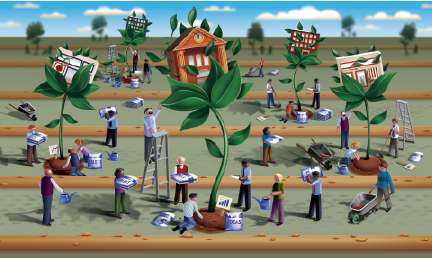 Colorado Economic Gardening is a grow-your-own approach to economic development. It was originally founded by Chris Gibbons in the 80s. He was the Director of Economic development for the City of Littleton, Colorado at that time. Since the inception of EG, Littleton has more than doubled their job base and more than tripled their sales tax base, all without recruiting a single business to locate in Littleton. EG provides small, stage two (10 – 99 employees, with $1M to $50M in annual revenue) businesses with a suite of high-end, specialized service, one of which is GIS analysis.